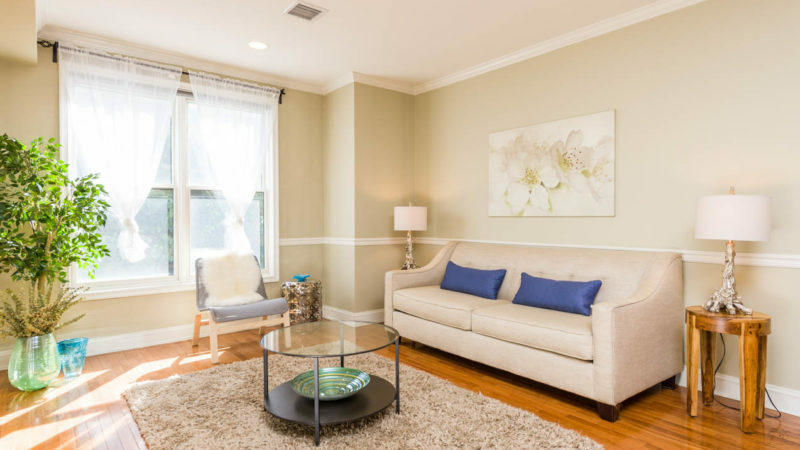 Spacious one bedroom home at about 800 square feet in the sought after Charles Court. Features include hardwood floors throughout, large windows in the living room and bedroom for great natural lighting, dishwasher in the kitchen, in-unit washer/dryer, and an on-site one car garage parking for your convenience! This home is quiet & away from the street. Upscale living in this building full of amenities such as an elevator and exercise room. Close to the supermarket, bus, Light Rail, parks and more. Welcome home!